The Global Links Network Team is comprised of international trade in services specialists with expertise in a wide range of areas including: capacity-building, trade-related technical assistance, training, sector and market development and technology-based competitiveness and trade solutions. Private sector development and capacity-building of trade promotion organizations and business support organizations have become the hallmark of Global Link's work in developing and transitional economies. Clients include international development organizations and other international aid agencies, government, trade promotion organizations, sector and business support organizations, educational institutions and small and medium-size enterprises. Global Links Network is paving the way for the future world of trade and development - a world which increasingly involves technology, the export of services, and is driven by new global traders such as micro-enterprises, women, and young entrepreneurs. Global Links' programmes seek to inspire, empower and engage entrepreneurs in assessing their potential, understanding the key steps, planning and implementing market entry strategies. The GATEWAY to Trade programme has been developed through the application of over 25 years' experience in working on trade in services initiatives in over 60 countries around the world. ​It is unique, in that it is the only comprehensive export-preparedness programme targeted at service sector SMEs available. 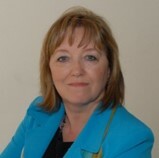 Diane is first and foremost an entrepreneur, having undertaken projects in over 70 countries over the past 25 years. She has worked with international development agencies, trade support institutions and small businesses, always with a goal to develop projects which are practical, results-oriented and sustainable. 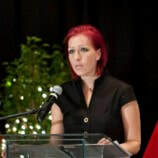 Michelle is a trade and business development specialist with expertise in global trade in services. Her main areas of specialty are export development and promotion, institutional strengthening, training and coaching, curriculum development, and marketing and communications. Theo combines his expertise in international trade with the development of technology-based solutions to respond to client needs in achieving their international marketing goals. His sector expertise is wide ranging, with a particular focus on IT-related sectors including software development, digital creative and digital marketing. 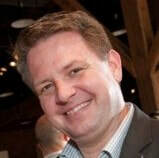 ​Greg is an international business development specialist with over 20 years’ experience in the ICT sector. Greg has worked with dozens of web and digital media companies by providing market research and market entry strategies. and has a passion for working with international companies, facilitating connections, relationships and expanding sales. TFO Canada and Global Links Network Inc. are long-standing partners, having collaborated on projects for the past 15 years in over 25 countries. Trade Facilitation Office (TFO) Canada is a non-profit organization whose mission is to improve lives by creating sustainable trade partnerships for exporters from developing countries with Canadian and foreign buyers. TFO Canada assists Small and Medium sized enterprises (SMEs) and Trade Support Institutions (TSIs) from developing countries to access international markets through information, advice and contact services. Since 1980, TFO Canada’s internationally experienced project staff and sectoral experts have been providing trade promotion and capacity building services to tens of thousands of SMEs and TSIs from Latin America and the Caribbean, Africa, Asia and the Middle East. ​as well as a variety of governments, trade support organizations, associations and small business clients around the world.